A new job calls for a new watch. 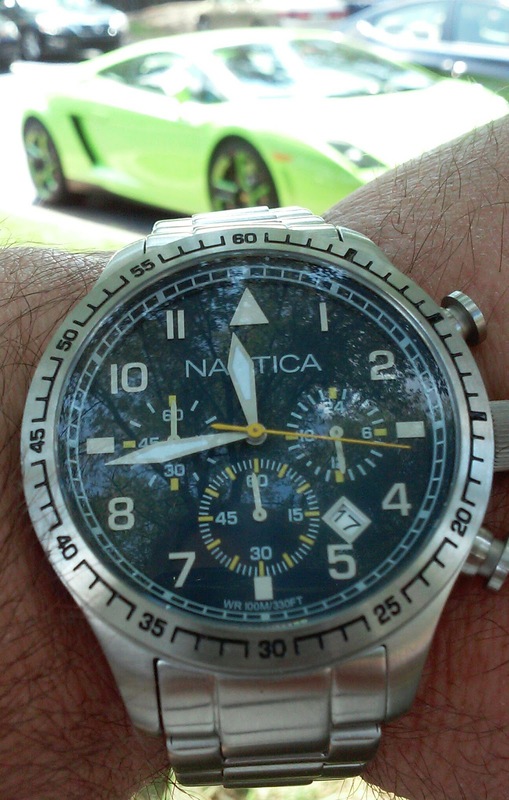 That's my story and that's why I've stuck a new Nautica watch on my wrist. If I remember correctly, this watch was about $80 at T.J. Maxx and I haven't seen one quite like it on Amazon. I believe this may be a chrono classic and it is a quartz watch. Watch Design. This Nautica has a cool style that harmoniously brings together many classic watch design elements. First it has the vintage stainless steel look of a 1960s James Bond watch. 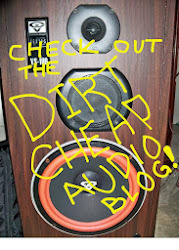 The case and bezel are neither highly polished nor flat. Instead, the watch has an experienced classic look. Second, the watch has some aspects of a dive watch. The time and date are set via a screw down crown. The non-rotating bezel has numbers and markings that subtly evoke a dive watch. Third, beneath the crystal, a white triangle at 12 o'clock deftly pays homage to the classic aviator watches that have been so popular in recent years. The aviator-style is backed up by simple numerals denoting each hour. Watch Functions. 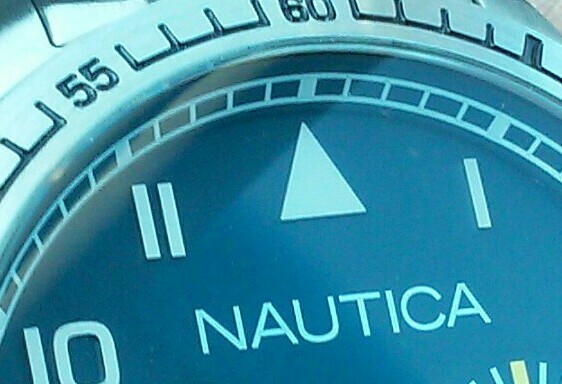 This Nautica has a lot of functionality built in. There are three subdials to present information. At 3 o'clock, the subdial provides the 24 hour time to the nearest hour. At 6 o'clock, another subdial presents the elapsed seconds once the chronograph function is started. Finally, at 9 o'clock, a final subdial records the elapsed minutes. To complete the complications, a canted date window between 4 and 5 o'clock provides the date. I wish that the bezel rotated, but it is rather thin and streamlined. Watch Construction. 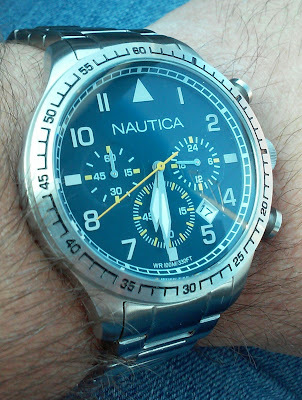 Nautica may be a fashion brand, but they also make pretty solid watches. 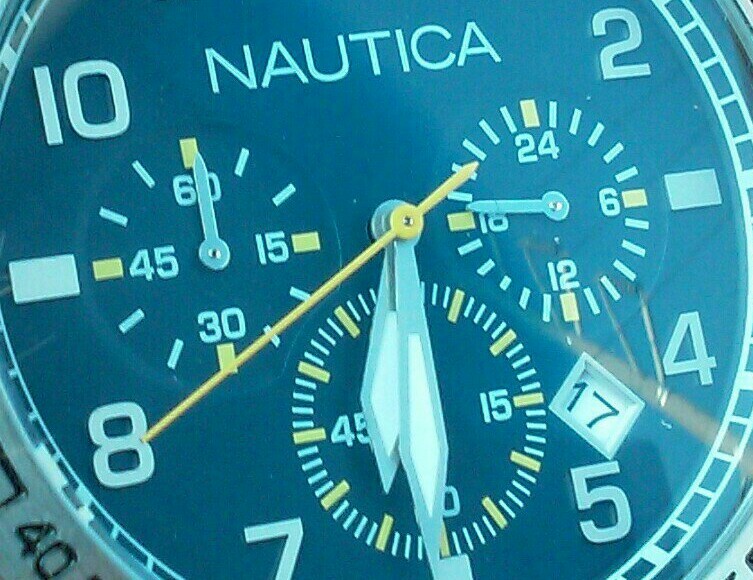 This Nautica is water resistant to 100 meters. Overall, I highly recommend this Nautica. It's a stylish watch that has the looks I like! Organizing Watches: Some must go! Shark Watches for Shark Week!